Green Fluorescent Protein (GFP) was originally isolated from the jellyfish Aequorea victoria and is used to fluorescently label cells and organisms, as well as specific proteins when incorporated into a chimeric “fluorescent fusion protein”. 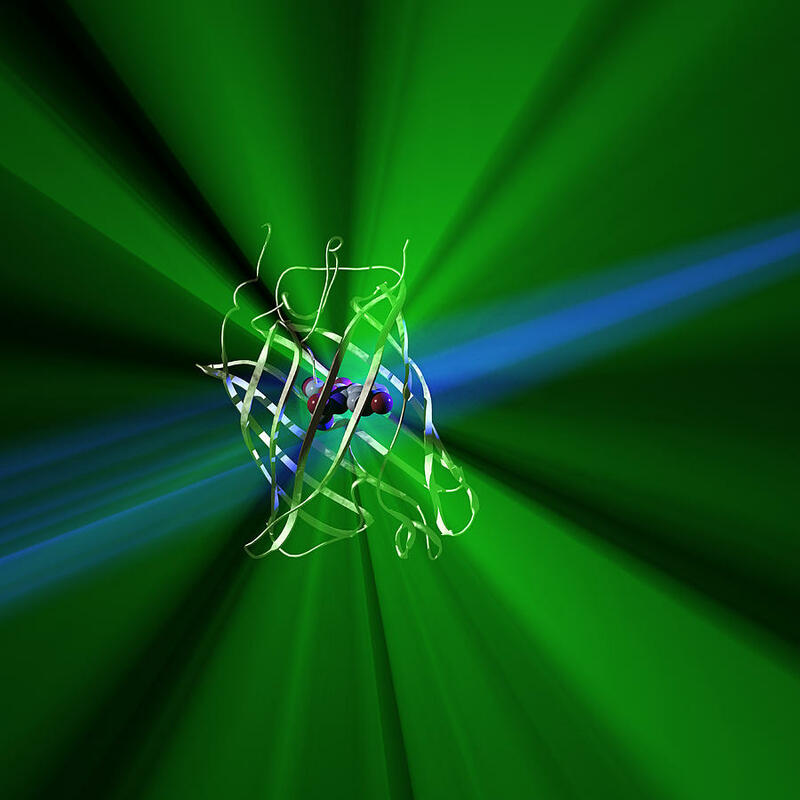 Subsequently, numerous variants of GFP with altered characteristics, such as shifted excitation and emission spectra, have been generated, and fluorescent proteins from a variety of other organisms have been identified. Research critical to the advent of GFP was awarded the Nobel Prize in Chemistry in 2008.